I’ve been meaning to stop to shoot this abandoned bus in the San Louis Valley of Colorado for the last 5 years, I finally stopped 2 weeks ago! One of those perfect days when lighting and timing worked out. This wonderful image is a narrative on our times. People just get up and leave to start a new life elsewhere, perhaps where there's hope for better days. Great clouds and color and a wonderful composition. Outstanding colours. The red in the grass really works with the blue in the sky. 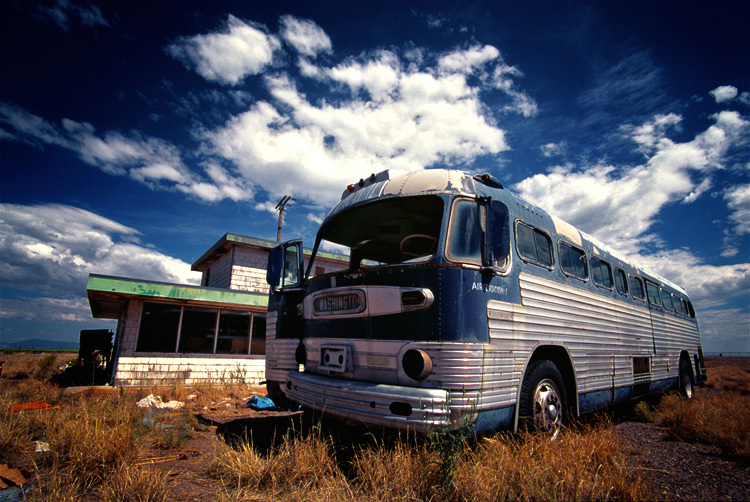 Great bus (or it was once!). glad you stopped, wonderful colors and light. Brilliant shot! Love the composition, the colours and this atmosphere.